The route to/from Estonia was already popular in the 1930s, and the competition was just as tough as it is today. Aegna (at that stage without a proper name) was launched in Kiel in 1904. She served, as Adler, the Hamburg-Amerika line for many years, except during WW I. 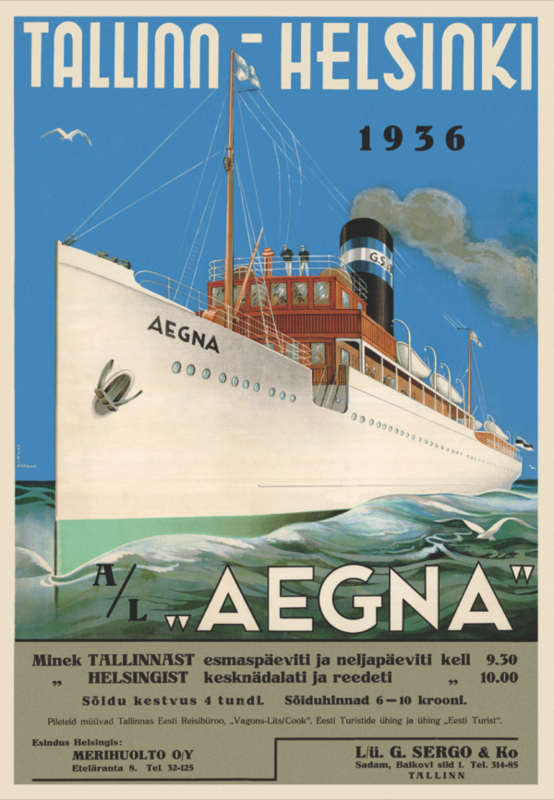 Later she was sold to a company called G.Sergo & Ko in Tallinn that renamed her Aegna. 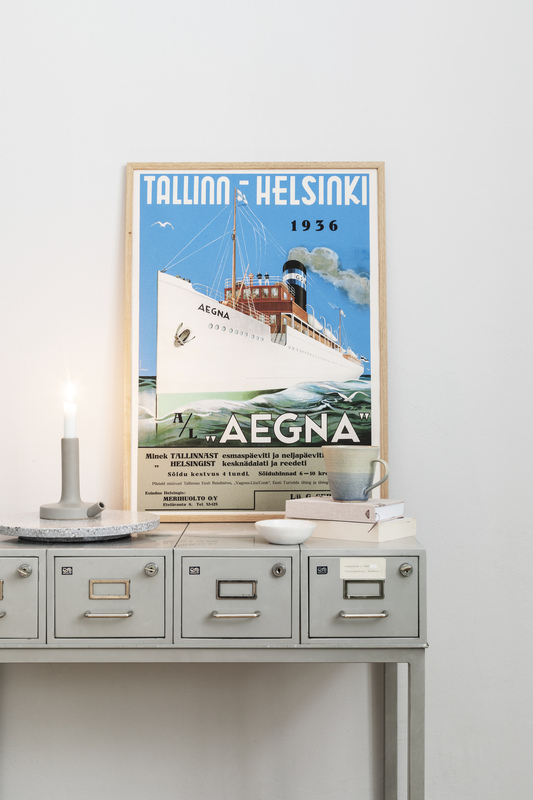 As you can see from the poster, she served on the route Tallinn-Helsinki during the late 1930s. When the Soviet Union annexed Estonia, Aegna was put in the war effort. After a severe storm she sank in November 1944, just by the island of Aegna (!) north of Tallinn. Today she’s lying at approx 5 meters depth and is a popular destination for divers.